I have a horrible ear infection. I’m on antibiotics and feel rather unusual. 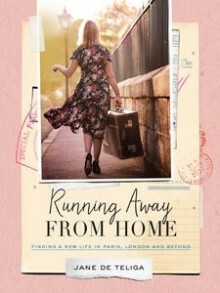 This afternoon I allowed myself to go to bed to finish Jane de Teliga’s wonderful book Running Away From Home. I loved it, it’s inspiring, funny and so so wise (and not just because she mentions me in it ha ha ha). When I’d finished that I got stuck into Tasmina Perry’s latest novel, The Proposal. It’s the perfect snuggle up in bed read. What lovely, talented pals I have. I boiled up a chicken carcass and made chicken soup. I just wnt back and read all your posts. It’s a brilliant example of how writing a blog doesn’t have to go on and on about how ‘things’ make you happy – you can be happy just by engaging with the world. Loved it, every erudite, succinct word. It’s the OTHER ear Bernadette! and I was deaf in one ear the whole time in Sweden, which made me very compassionate towards my mum, who is very deaf now. I won this in an instagram competition from Julie Gibbs and read it in one sitting- I really loved it. It’s a gorgeous book and I dis notice you were in a photo! Hi Maggie, sorry but this seems to be the only way I can contact you. I do hope you pick it up. I Just wanted to thank you for mentioning my book, Stitch Your own Silver Linings (on day 42). Would be delighted to gift a copy to you – to read after you have finished writing your novel, of course! Drop me a line at Christine@conroycoaching.com and thanks again.